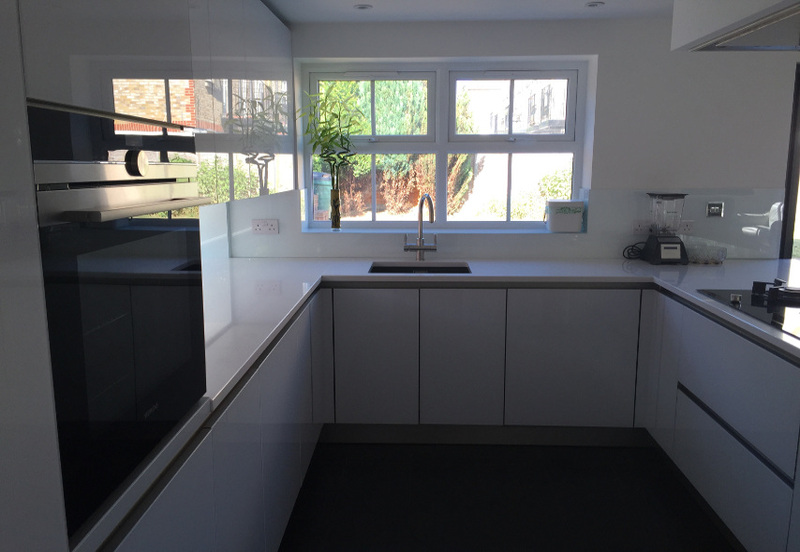 Our thanks and appreciation go to Caroline Man for sending us these images of her new and completed Next125 kitchen. 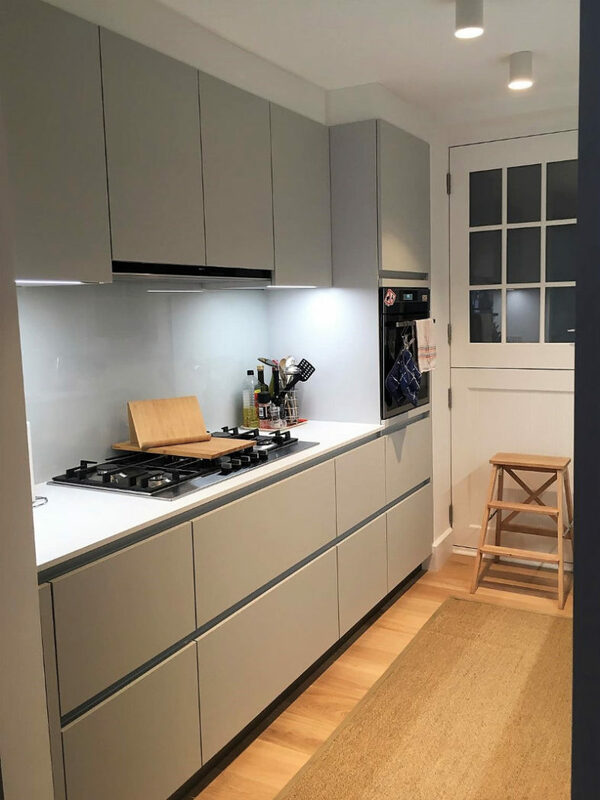 Caroline chose Polar white in glass gloss finish for the units combined with Quartz stone worktops in Absolute white. 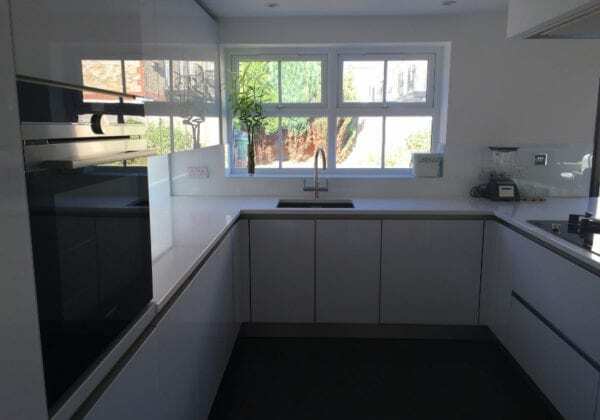 The design is unusual as it incorporates a window as a splashback next to the oven, this allows for more natural light when working on the worktop. 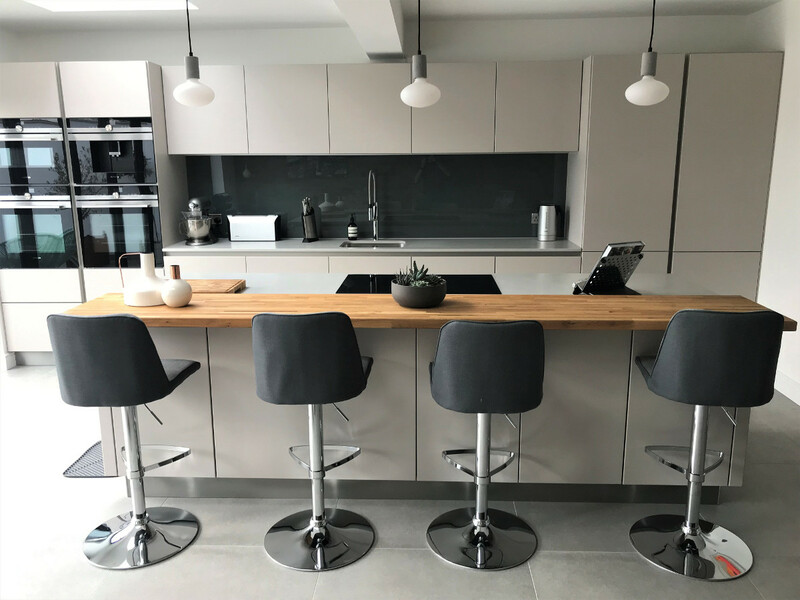 The worktop has a breakfast bar area with seating for three people. 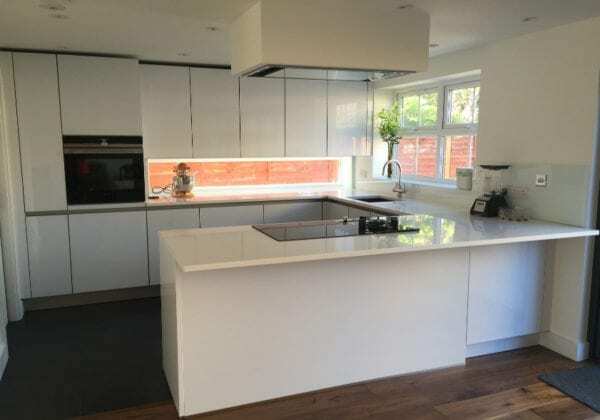 Thank you for the positive feedback Caroline, were happy you like the finished result.